*This post was sponsored by my mother-in-law and no one else. THANK GOD! This week the continual grey skies of Sweden were broken up with the little ray of sunshine we like to call Tina Sparkles. Up in the capital on business, we had the pleasure of her company for two nights. Both Bubba and The Flash were delighted at her presence and so was I. A fellow Aussie living in the land of flat pack furniture, Tina Sparkles radiates happiness and charm, but more importantly she understands everything I say. Oddball references to life in Australia circa the spring of 1995 are not lost on her and I can speak as fast as I want, bloody struth mate. As she lives in the south of Sweden, visits are a bit rare so to celebrate her visit, we decided to start the weekend early. For hours we lay idle on the couch. We chatted, laughed, sipped bubbles and soaked, scrubbed and exfoliated the mid winter depths of Swedish darkness right off our feet. It was a delicious treat. And I have to tell you that dead set, these Dead Sea products are to die for. It’s something about it being made from the most highly concentrated natural marine mineral source in the world combined with the secret of my recent cooking success, ‘lots of salt’. Mother Nature has really come up with gold this time. We started off with some Aromatic Mineral Body Treatment, which left our skin so silky that I even agreed to what they claimed on their website: Premier brings to you luxury skincare in products so effective, they deliver exactly what they promise and more than you ever imagined! Then, we continued with their milk and honey aromatic body butter. It was better than we ever imagined. Basically,it was at this stage of the night that I decided that if our apartment ever caught on fire, I’d grab the kids, my trumpet and these products. TSH would have to fend for himself. So yes, by the end of the night our feet and hands were as smooth as Nicole Kidman’s face. Our feet felt so fantastic it was like we were just like Jesus and could walk on the Dead Sea too. We were ready to start the weekend, feet first. Dead set mate, it was a top night. Will your weekend include a top night? 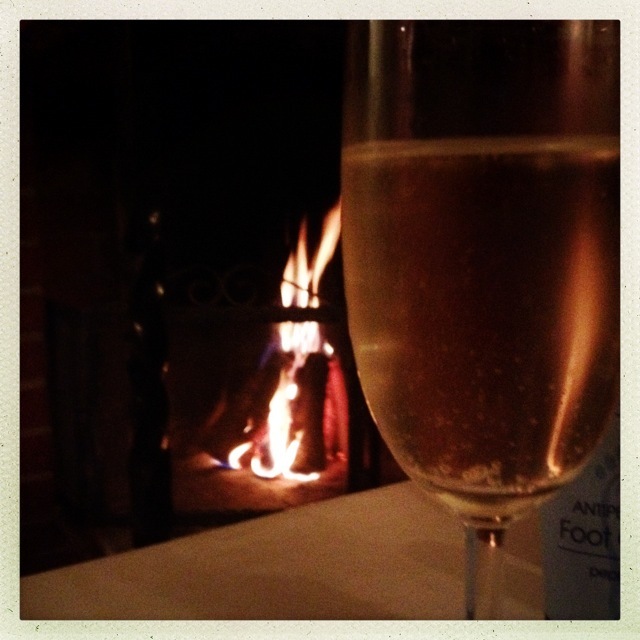 foot spa and wine – sounds devine Lou! I wish someone would scrub the depths of old age off mine. 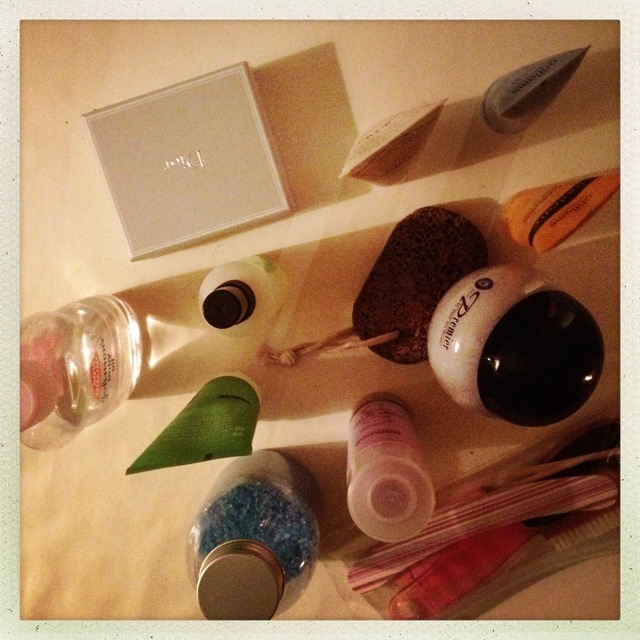 Actually, I have some dead sea exfoliating something or other in my bathroom … great idea Lou Lou! ha ha. search and seek it out, we have very youthful feet now. Sounds wonderful! What a great idea – a home spa weekend, love it! You have me pretty sold on Dead Sea and Ekolådan! Ekolådan is about to arrive, yippee!! Have a fab weekend. Oh how lovely! I remember when I lived overseas there was nothing like a fellow Aussie (or English speaker) to spend time with. It’s like this huge relief – no need to think before you speak and so easy. Glad you had a lovely time! Love the pampering idea!